Hi, I'm Monica and I'm here to help YOU understand your curly hair + build your hair regimen without all the nonsense that's keeping you chained. I'll show you how easy it can be to keep your hair moisturised + retain length so you can FINALLY take the stress off of your hair journey. Welcome to my humble virtual home! If you're currently confused or overwhelmed and need help understanding 'What the hell is wrong with your curly hair? ', you've come to the right place! My mission is to help you build a hair regimen blueprint that adapts to your hair needs and supports its healthy growth without burdening your lifestyle. Ultimately, I want you to fall in love with your curls and become the Curly Queen you secretly dream of becoming! * You're a curly hair newbie, or wannabe, who just landed in the natural hair world. * You're a transitioner - beginner, or not - whose not up for the Big Chop. * You're a curly hair veteran whose still trying to figure things out. ... but, most importantly, you feel a little lost and overwhelmed by the natural hair world. Since you're here, something tells me you need clarity from the all the conflicting 'noise' that dominates the 'natural hair blogosphere', but you don't know who to believe, where to start or what to do. Despite all your efforts, you're currently struggling to reach your hair goals but you don't know what else to do. And, you're also ready to invest, roll up your sleeves and work to get the results you want. If any of this sound familiar then you definitely came to the right place! 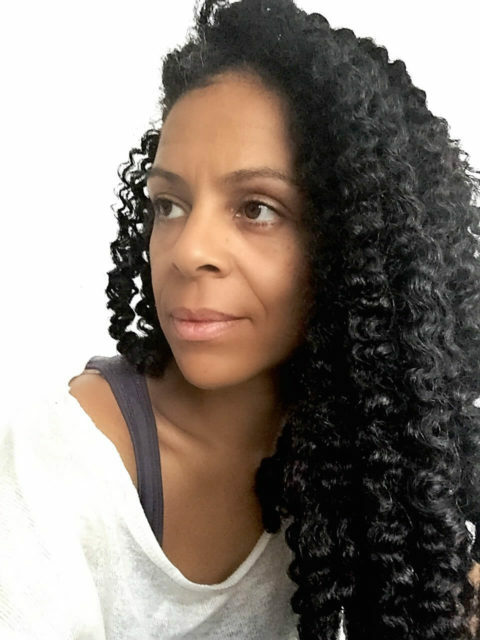 I am a passionate natural hair writer OBSESSED with de-mystifying curly hair care. I'm also an avid cinema goer, with two kids (a couple) and serious tea addiction! I believe naturally curly girls can't afford to waste any more time with hair care practices that damage their hair, it all starts with a better understanding of their hair needs and a good hair regimen. I started my curly hair journey back in 2013 shortly after bumping into a YouTube video about curly hair. At the time I was struggling with limp, stringy hair and breakage. My scalp was itchy and flaky and I was completely frustrated with my hair relaxed. I just wanted my hair to stop breaking and looking so unhealthy. Heck, I didn't even know I could stop relaxing my hair. But the desire to bring my hair back to health soon became a passion for my curly hair. Between this new 'obsession' and my commitment to know as much as I could about curly hair, my hair journey took off. I devised a hair regimen that in 3 years allowed me to grow the nearly the equivalent of 4 years of hair growth. In the meantime, I created this blog to share clear and actionable information that would provide guidance to all curly hair newbies. As the blog, its reach and its audience grew I continued creating content to help support my audience such as my library of Free resources, a Free email course (Boost Your Hair Moisture), a Hair Journal, the Curly Hair Adventure Facebook group and the Shed & Rescue coaching call. As I continue to expand and deepen my knowledge on curly hair I am committed to sharing my knowledge and strategies to help others achieve the same success I have. 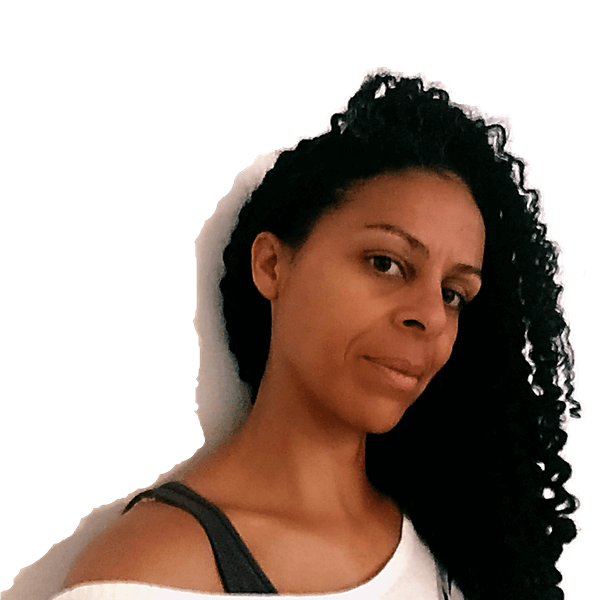 If you're interested, I focus on helping you create a hair regimen blueprint that keeps your hair moisturised, supports your hair needs and elevates its health without all the crazy online artifices that eventually damage curly hair.